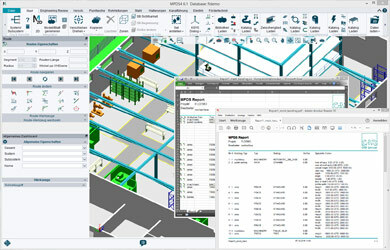 The second major update for MEDUSA4 and MPDS4 6.1 has been released, and is now available from the CAD Schroer customer portal. Cambridge, UK and Pittsford, NY – December 7, 2016: In addition to important improvements and optimisations, Update 2 for Version 6.1 also includes a series of refinements and new features requested by our customers that will help them in their day-to-day work. Update 2 represents an enormous improvement for MPDS4 in the area of parts lists, which are now very flexible and can be exported in different formats. The dialogue for representing catalogues has also been hugely optimised. Individual catalogue components can now be saved as favourites. In addition, the module for automatically creating pipeline isometrics has been significantly expanded. 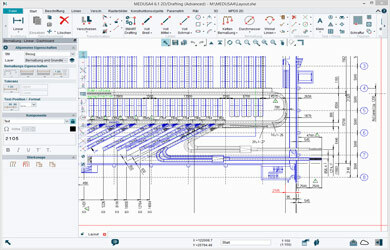 Especially in the area of 2D CAD, Update 2 is packed with a wide range of improvements for you. In addition to many other improvements, we have optimised the Dashboard, the Table tool, the Structure Tree, and the Smart Drafting tool for MEDUSA4. 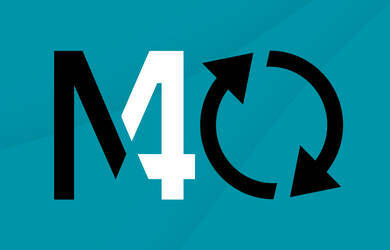 As maintenance customer of CAD Schroer you can simply download the update (MEDUSA4 6.1.0 32-bit – Update 2 or MEDUSA4 6.1.0 64-bit – Update 2) from our customer portal at Download Area > MEDUSA4 > Windows.